3D printing has been the talk of the internet ever since it was just a concept and not this widespread technology known for using metals and plastics we have today. Now, it is possible to make practically anything, provided you have the materials and the specs. The story doesn’t end there, however, because 3D printing keeps moving forward. Companies that specialize in this technology are racing each other to come up with the best applications and improvements. While you may think of 3D printing as something that makes a new toy or parts and tools you can’t normally access, the scope of applications is much greater. 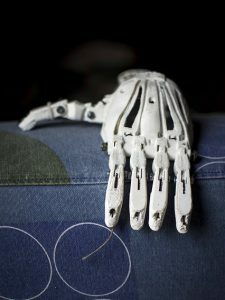 In medicine, we can use 3D printing to develop proper prosthetics with great care and customization. Not only that, but there has been some talk about bioprinting. This technology is still a decade or two away, but the possibility of designing and implanting organs that a body needs with a special blend of organic materials to make sure the body doesn’t reject them is awe-inspiring. We are practically already where we need to be in terms of designing an artificial hip or jaw. A company that specializes in Stereolithography Apparatus 3D printing, Formlabs, has developed and released a new resin called Elastic Resin. It is said to be the softest and the most durable resin out there. You can compare it to silicone or other elastic materials. The number of applications depends on the user, but it is safe to say it is suitable for medical models and wearables, but not parts that need to hold a structure together. One of the wonders given to us by this technology is the ability for the ISS to print a new part whenever something gets broken, rather than wait a few months. 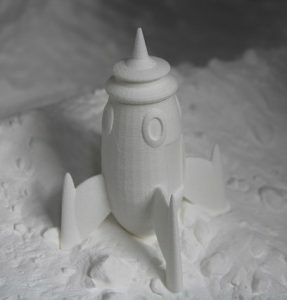 Designing and making parts for rockets and other space-oriented components has become cheaper as well. Conversely, the technology behind rocket designs and parts is now available to Joe Sixpack. Anyone can download the schematics of rocket parts and have their own space program – without the fuel and government approval for testing, that is. Carbon3D is a company that is currently working on how to increase the speed of printing. Parts and objects are usually printed layer-by-layer, so there is a lot of room for improvement in terms of speed. Additionally, mistakes sometimes happen, so there is a need to redo a project sometimes. What this company plans to do is make objects out of a pool of polymer. The first projects seem promising, and the company predicts that printing is going to get faster and faster, given enough time and funding. We wish them luck.